Country Cards by Rose: You Almost Missed Out on This BEAUTIFUL Card! You Almost Missed Out on This BEAUTIFUL Card! So this weird thing happened today as I was flipping through some photos in my phone. 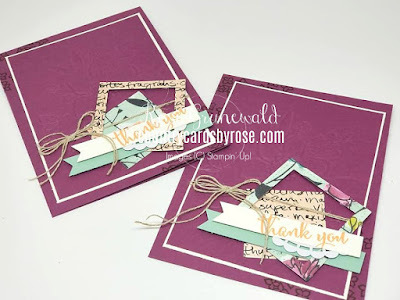 ....I found a tutorial for a swap card I made over a month ago that I never posted to my blog! Take a look at the gorgeous card you almost missed out on! So how in the world does this happen, you might ask? I think it's a symptom of my crazy busy schedule. On top of my already demanding work day, I just joined a water aerobics class. My poor husband! He's now going to have to get used to eating dinner at 7pm...or later. Good thing he loves my cooking and thinks it's totally worth the wait ;). Anyway, back to the card. You can follow along step by step by clicking the video below. While you're there, don't forget to subscribe to my YouTube channel to make sure you don't miss any videos from me! 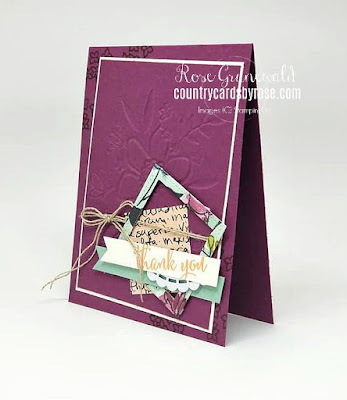 Rich Razzleberry Card Base: 5 1/2" x 8 1/2", score/fold at 4 1/4"
Very Vanilla: 5" x 3 3/4"
Rich Razzleberry Embossed Layer: 4 7/8" x 3 5/8"
Great find in my phone's photo and video gallery huh? I'm glad I was able to share this super pretty card with you. This would be a great way to use up other DSP scraps, too - just swap out the Rich Razzleberry and Very Vanilla layers with a cardstock color that coordinates with your DSP! Simple! 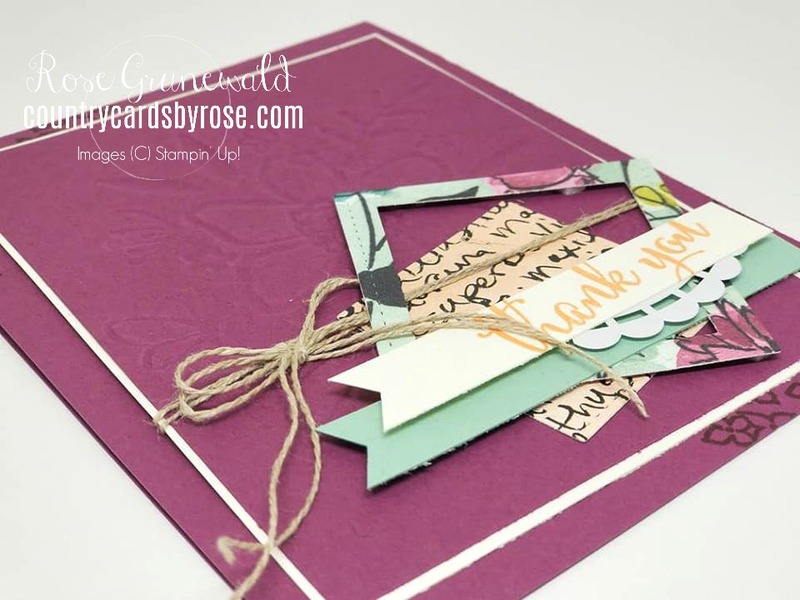 You can purchase any of the other products I used to create this card by clicking the items below.